After months of work, the saris are finally done! Please come see the installation. Since its November 2018 kickoff, WRAPture has worked with 12 women in Katakhali, Bangladesh and over 150 members of the community in Washington DC, including youth from Project Create, formerly homeless women, artists, furloughed federal workers, hearing-impaired individuals, and people of all ages, genders, and incomes. This inclusive project ensures that all events are accessible by wheelchair, and sign language interpreters are provided as needed. 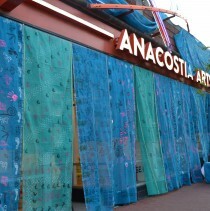 WRAPture, a temporary sari sculpture created with over 60 saris covered in art and writing about climate change, will be installed on five buildings in Historic Anacostia in the morning and taken down in the evening on three separate days: April 4, April 20, and May 9 (days may shift in event of rain — check this site!). 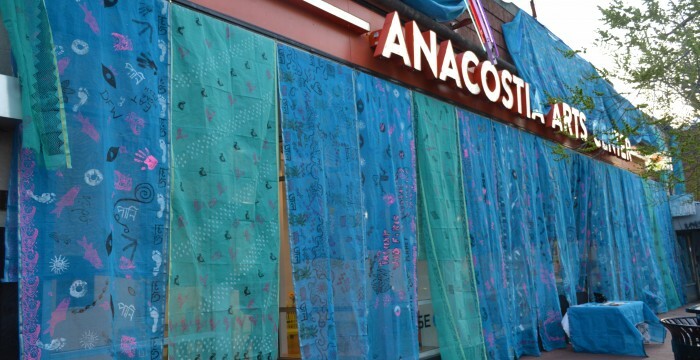 A soundscape will include songs, poetry, and sounds of Anacostia and Bangladesh. 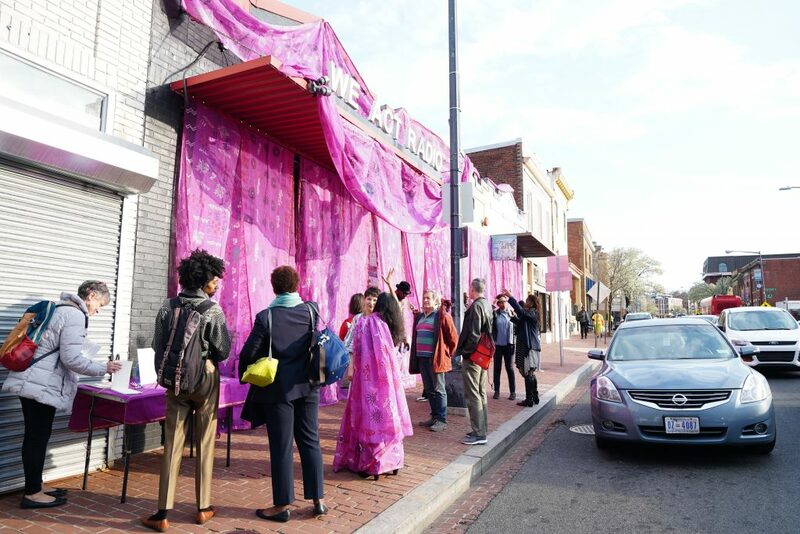 WRAPture: Storytelling with Saris is funded by the DC Commission on the Arts and Humanities Public Art Building Communities Grant Program and is led by DC-based artist and activist Monica Jahan Bose. Installation Hubs: Anacostia Arts Center, 1231 Good Hope Rd, SE, Washington DC & We Act Radio, 1918 Martin Luther King, Jr. Blvd, SE, Washington DC. The first day of the WRAPture installation. Viewing hours 3-8 pm.